Jessie Traill is recognised as an important figure in Australian art history. 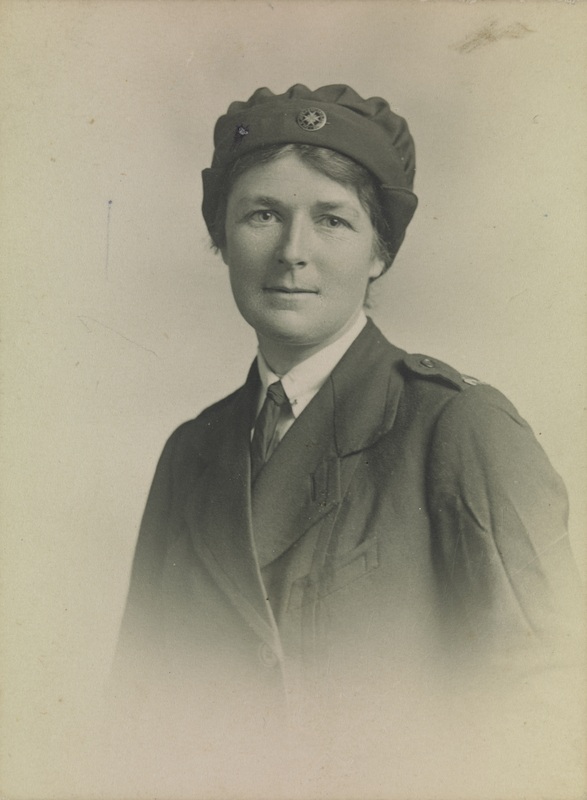 During World War I she spent five years serving as a British Voluntary Aid Detachment. 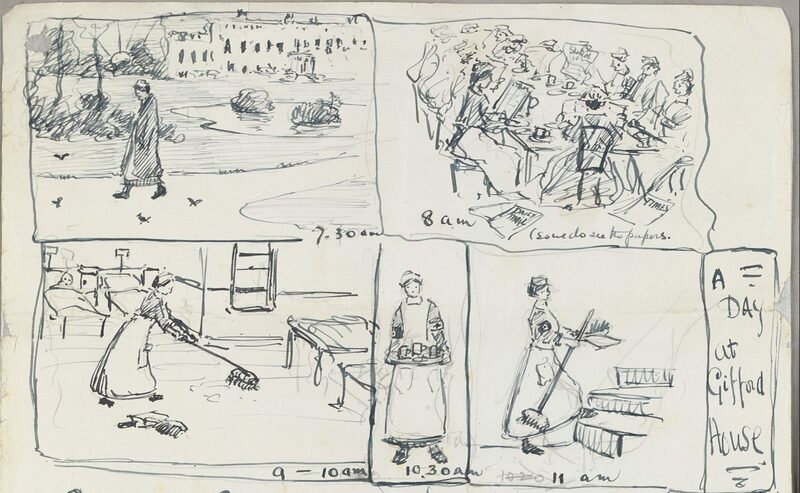 Her war experience is recorded through photographs, sketches, written accounts and letters to friends. Traill’s papers are now held in the Library’s Manuscripts collection. Born in Brighton, Victoria, in 1881, Jessie Constance Alicia Traill was the youngest of four daughters of banker George and his wife, Jessie. She spent two years of her schooling in a French speaking part of Switzerland. With a passion for art and travel, she pursued etching and painting, studying in both Australia and Europe under Frederick McCubbin, Bernard Hall and Frank Brangwyn. 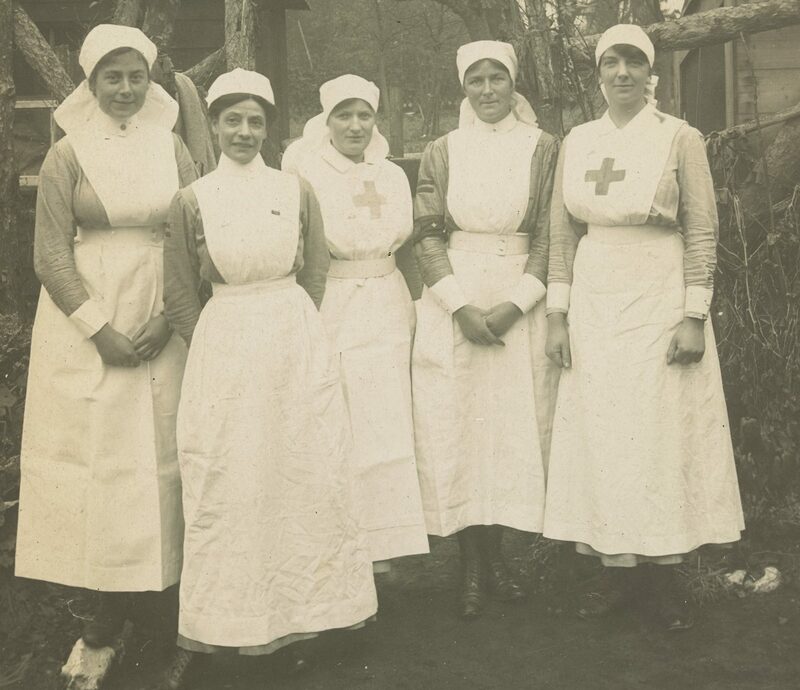 In December 1914, Traill sailed to England to join the British Voluntary Aid Detachment (VAD). 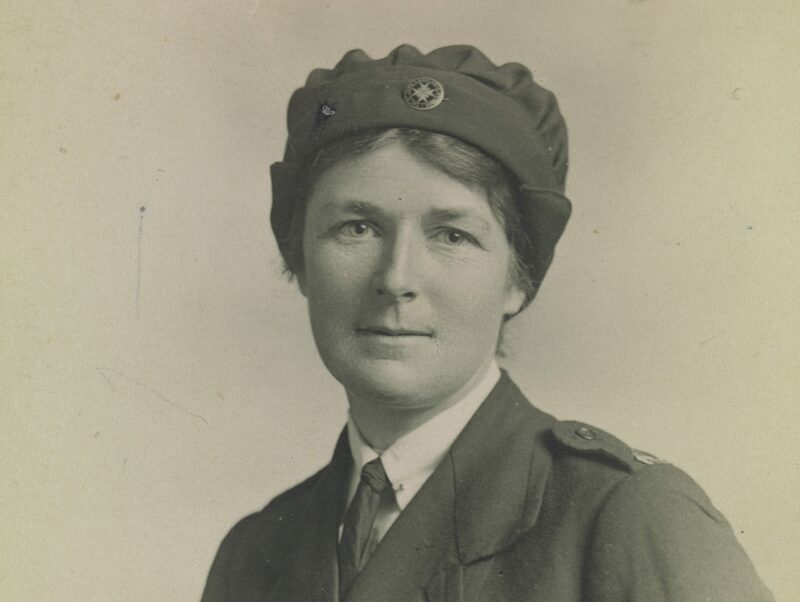 Initially, Australian VADs were restricted from serving overseas, so many Australian volunteers, like Traill, travelled independently to join British services. She received training as a nursing assistant at the Queen Alexandra Hospital Home for Discharged Soldiers, known as ‘Gifford House’. 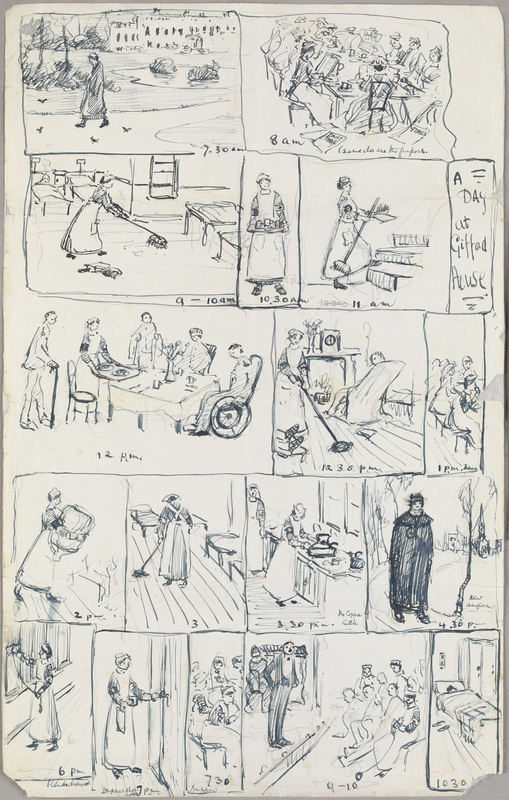 While her days were largely consumed with her work, Traill continued to develop her artistic practice by photographing and sketching vignettes of day to day life at the hospital. Her skill as an artist is evident, while her wit and zeal shines through, despite the traumatic experiences that come with working in a military hospital. They are all dear men and it is a privilege and most interesting to work amongst them. 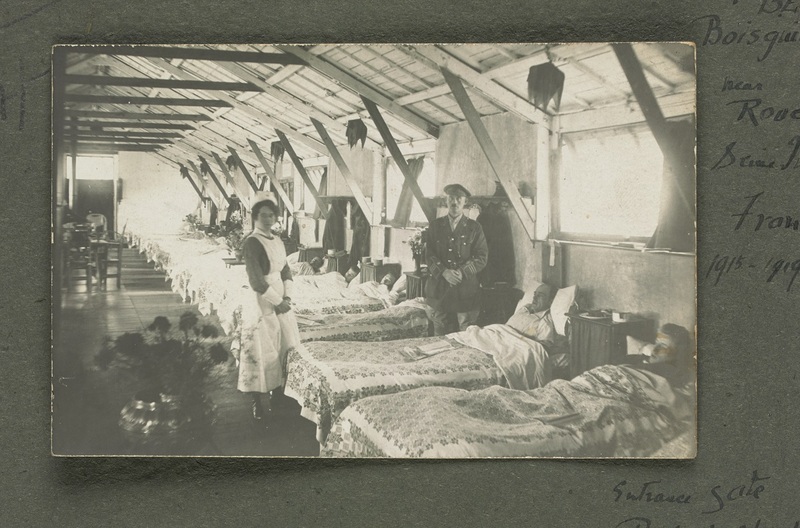 Traill remained at the hospital in Rouen until 1919, caring for the wounded and those affected by an influenza pandemic. Traill returned to Australian in the 1920s and resumed a successful career as an artist. Concerned with the plight of people displaced by the war, she returned to France a number of times throughout her life. Discover more people, places and events that have shaped Victoria in the Changing face of Victoria exhibition, on Level 5 of the Dome Galleries, overlooking the La Trobe Reading Room. Thank you for writing about Jessie Traill. I have seen her wonderful lithographs and etchings in the state library collection and recommend anyone do so. Your article omitted to mention that Traill is considered to be the leading Australian printmaker of the twentieth century. This article seriously undersold her contribution. Thanks for your comment Celia, and I agree; Traill is a significant Australian artist. I have written more about her artistic pursuits in the display within The Changing Face of Victoria exhibition. 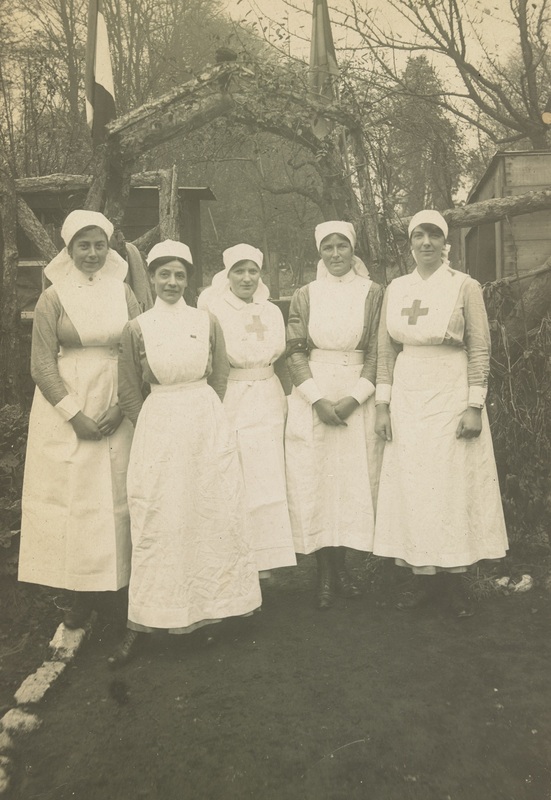 This blog was written to commemorate armistice day and draws on Traill’s personal accounts of her experience serving in France during WWI. I was interested to read about Jessie Traill extensive experience in Rouen. Another Victorian female Artist, from Gippsland, Louie Riggall, also served as a nurse at Rouen, in fact, she died there 31st August 1918 from a stroke of some sort. I have often wondered if Traill met Louie and if that was why she travelled to Gippsland, where she completed a series of etchings and a watercolour of the construction of Yallourn Power station.